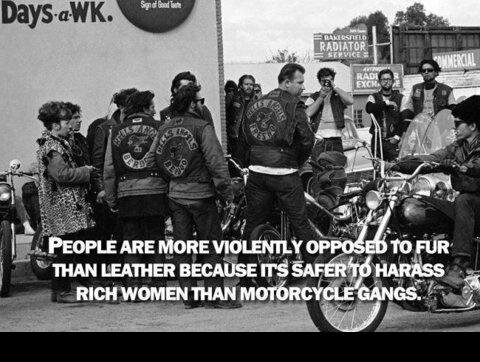 This entry was posted in Amazing, Musings and tagged bikers, fur, hippies, leather, motorcycles. Bookmark the permalink. Never thought of that! It IS a good point.